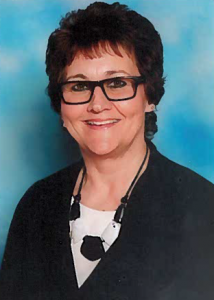 Hello, my name is Jackie Allington and I am the Family Link Worker at Ormiston South Parade Academy. My job is to make sure that all pupils feel happy and confident at school so that they can achieve their very best. My job is to also make sure that all of our parents and families feel supported and happy so that they in turn can support their own children. I can support parents or family members with advice on how to manage children’s behaviour and can also offer one to one support to individuals on a variety of issues. If needed or requested I can make referrals to other agencies and organisations. I am here to support you in whichever way I can! I have some availability to offer support during the school holidays. If you find yourself struggling with family life and the strain of being away from school, please do let me know. It may be that support can be given during a phone call or you may feel a meeting for a coffee and chat would help. Sometimes, parents have requested that I accompany them on an outing with their child. Again, I am here to help and support, so please just ask. It is also my job to monitor the attendance and punctuality of pupils. I am here to help and support you in getting your child into school, on time, and ready to learn! If you are experiencing difficulties for whatever reason just contact me and I will assist anyway I can. If you would like to know more about my role in school please download my booklet below or collect one from the school office. Remember, I am here to help and support in any way I can, so please do get in contact. Email: allingtonj@osparade.co.uk Telephone: 01472 231659.